Chimney Repairs Services for Allentown, Bethlehem, Macungie and Easton areas. Chimney Repairs should be performed at the first sign of trouble to prevent the price of repairs from skyrocket. The weakest point on a chimney is the chimney mortar cap. 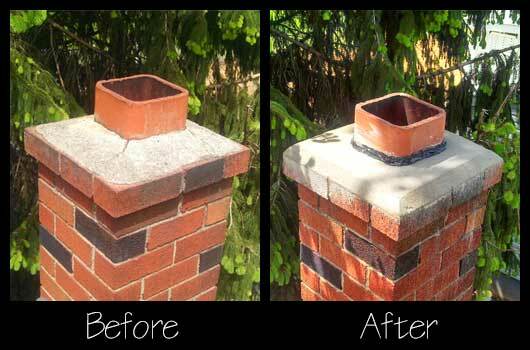 Maintain the chimney cap and you will drasticly reduce the risk or costly damages throughout the life of the chimney. A Chimney Mortar Cap is the angled masonry surface on the top of a Chimney. The mortar cap is designed to prevent water from pooling on the otherwise flat surface of the chimney. 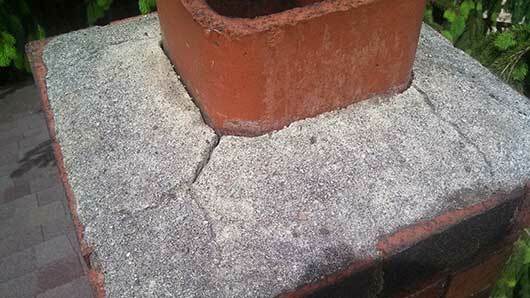 This mortar surface will crack over time due to natural settling and exposure to the elements. If cracks in the chimney mortar cap are not repaired, spalling can occur. 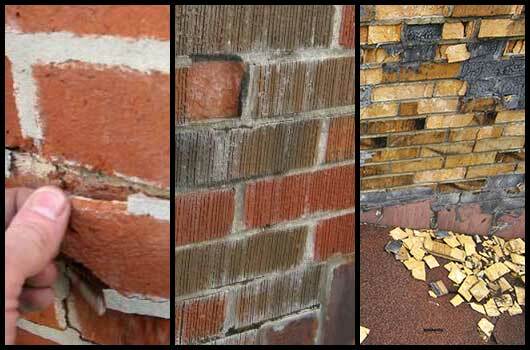 Spalling will eventually lead to crumbling and destruction of a chimney. If you see any of these signs you should have your chimney evaluated by a professional impatiently.